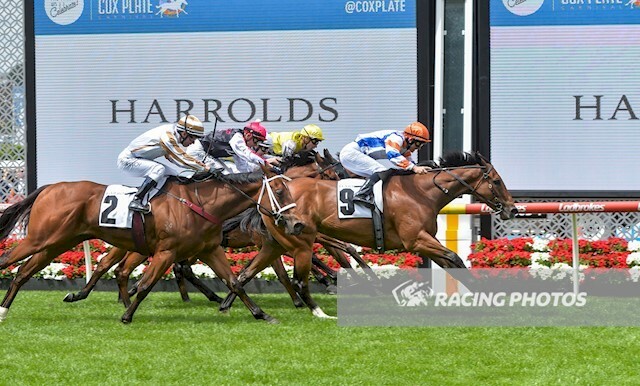 Talented filly Beauty maintained her unbeaten record and took the step up to black-type company with strong win in the Listed $120,000 Crockett Stakes (1200m) at Moonee Valley on Cox Plate day, Saturday, October 27. Trainer Tony McEvoy admitted it was a pleasant surprise with Beauty graduating to stakes grade. “She is a beauty,” the trainer declared. “We trialled her at home and she trialled up beautifully, so she came across and we ran her in a benchmark 70 race at Bendigo,” McEvoy said. As a precaution McEvoy entered Beauty for the Crockett Stakes and took her to Moonee Valley for Breakfast with the Best on Tuesday morning where she galloped with Sunlight and it was a gallop that forced McEvoy to reconsider his plans. “She sent us a message with that gallop and that is why she ran today,” he said.